All funds raised will be paid directly to Cynthia L. Edwards for Building Awareness for Victimized Children - Promotional and Advertising purposes. We need YOUR support to help us raise money to push this mission 'Being a LOUD voice for victimized children' - to the State Level!! Please PURCHASE a Breakaway Lanyard to help spread the word AND show that you support our mission! Thank you in advance for your love and support! 12/23/1999 to 02/07/2003 Cameron was born December 23, 1999 into the arms of Cynthia Sweats. He was a very healthy and absolutely adorable 8 lbs and 11 oz. little bundle of joy. He grew into such a sweet and precious 3-year-old. He was THAT CHILD who could walk into a room and people always noticed him & his BIG bright smile. MINNESOTA DEPARTMENT OF CORRECTIONS OFFENDER Samuel Christopher Jones Offender ID:212953, was a long time family friend who was trusted to watch Cameron on one occasion, so Cynthia could go to work. Jones brutally beat Cameron to death on February 7, 2003. PRISON SENTENCE FOR MURDERING CAMERON Jones accepted a plea bargain on the lesser charge of second-degree "Unintentional" Homicide. In November 2003, the max the judge could sentence Jones was to 20 years in MN State Prison. HE IS FREE Jones was released from prison on March 8, 2017 after only serving 14 years. He violated parole May 2017. He went back to prison and was released AGAIN, on August 1, 2017. Jones is to remain on parole until 2023 and be listed as a predatory offender for life. This is NOT and will NEVER be justice for Cynthia's Loss! DUE TO THE INJUSTICE Cynthia faced behind her son's murder, she made it her personal mission to change the law on child murder since April 2013. From there, Cynthia became the founder of "Fighting for Cameron and Kids". CURRENTLY, she is in college At National American University and will graduate in June 2019 with her Associate's Degree in Criminal Justice. From there, she plans to continue her education to obtain her Bachelor's Degree In Criminal Justice and anticipates graduating in 2020. Cynthia plans to use her knowledge and skills to better advocate for changing laws for our children. 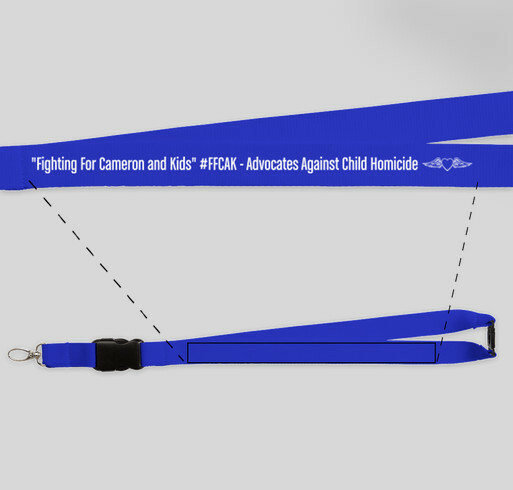 Share Why You Support "Support Fighting for Cameron and Kids - Raising Awareness for Victimized Children"